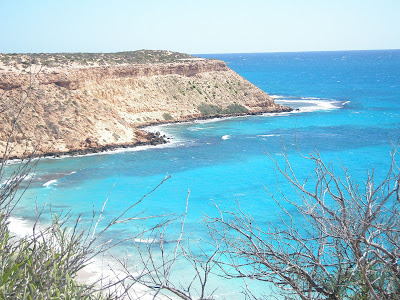 The Malgana people, YMAC, state government and pastoralists have announced a native title agreement over Dirk Hartog Island giving Traditional Owners greater involvement in the management of the world heritage area. In exchange for consenting to a national park project, the Malgana native title claim group have negotiated co-operative management of the terrestrial reserves in the Shark Bay World Heritage area. The group will receive a 5 hectare reserve on the island to teach Malgana culture. The Malgana group have also reached an agreement with the former pastoral lease holders, the Wardle family. This agreement provides for employment opportunities and the recognition of traditional ownership in relation to the expansion of tourism operations on the island. The island, known as Wirruwana in Malgana language, is of high conservation value and is also the site of the first European landing in Australia. Malgana Traditional Owner, Kelly Oakley, believes preserving the islands high conservation and heritage values are important to all West Australians. “Wirruwana has always been a place of special significance to our people. By conserving the island’s Aboriginal heritage, biodiversity and historical values we ensure all West Australians can enjoy it’s extraordinary beauty,” she said.